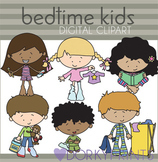 This product is a one page handout that contains four tips on establishing a bedtime routine with children. 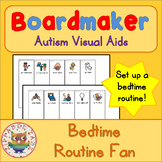 This material for this product came from the AOTA article that discusses bedtime routines (2013). I simplified the material and compiled it into a simple handout that can be given to parents. The goal of a bedtime routine is to wake up to a good morning. This poster will bring the checklist from the evening bedtime up through waking in the morning. 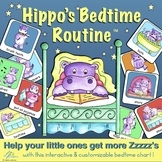 Help create routine, structure, and independence for your child with this bedtime routine chart. 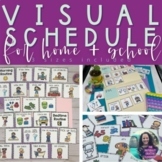 Child can go through the routine and check mark off each task completed. This was created for my own two little boys at home! Enjoy, All Things Special Ed. 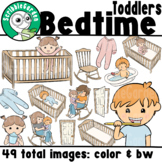 This is a visual schedule of a bedtime routine. 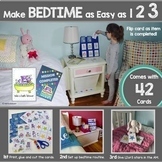 This will help any child get ready for bed and reduce any questioning or anxiety. For toddlers and other children with difficulties getting undressed and getting into the bath. This character in the story is a boy.